Welcome to the home of FruitPhonics, where words are fun and literacy is an adventure. 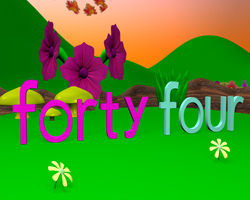 These forty four phonemes are the foundation of learning to read and forty four bits of phonics fun. The forty four phonemes, are the basic 'sounds' that make up the phonetic alphabet. These forty four phonemes comprise the entire set of sounds in the English language and are the basis of all phonics programmes. Remember that these phonemes are not the names of the letters, but the basic phonetic sound components of speech. The 'graphemes' are the letter representations of these sounds. The students will learn alphabet letter names only after mastery of the phonemes has been achieved. This first stage of learning to read usually comes rather easily to children with well developed phonological and phonemic skills. And what are these magical forty four phonemes? The phonemes can be broken down into two groups, one associated with consonants and one associated with vowels. These phoneme-grapheme correspondences are then used to map the component phonemes of spoken language into written representations. After acquiring these phonemic skills, children can begin learning to read by sounding out (decoding) even unfamiliar letter sequences and blend, or 'synthesise' these separate sounds together into composite sounds and complete words. Once children are comfortable with the auditory and written representation of a word, textual meaning and context is so much easier to absorb and retain. In phonics schemes, blending begins with some simple consonant-consonant phoneme blends such as b-l to make bl-, c-h to make ch-. These phoneme blends are then used as single units when decoding words. For example, crab becomes cr-a-b. This blending strategy works well for 'regular' words, which constitute about 50% of all words. Irregular words must be learned by sight. By learning another twenty blends in addition to the forty four phonemes, plus the one hundred highest frequency words, children will have access to about 50% of the vocabulary of all English language books. It's easy to see how learning to read can be accelerated.